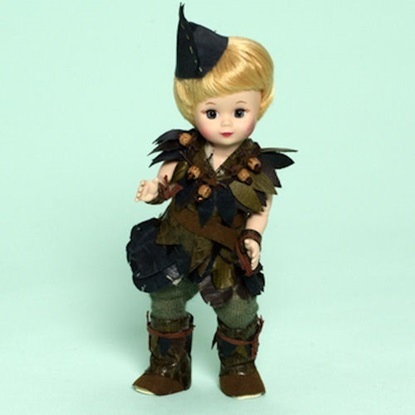 This is an 8-inch bent knee Wendy from the 2011 Storyland collection from Madame Alexander. 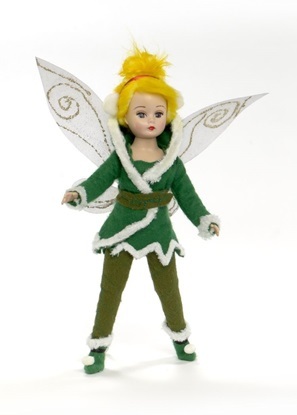 This 10-inch fully articulated Tinker Bell looks glamorous in her winter ensemble.. 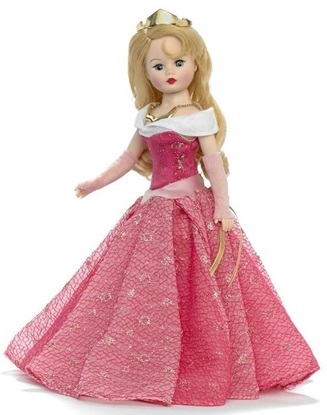 This 10 inch Sleeping Beauty is dazzling in her fuchsia taffeta gown with a sweetheart bodice. 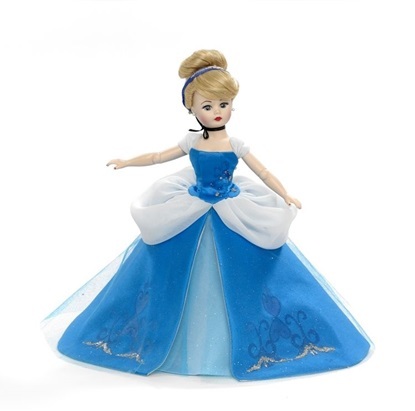 At 10 inches tall Cinderella is dazzling in her royal blue gown and blonde upswept hair. 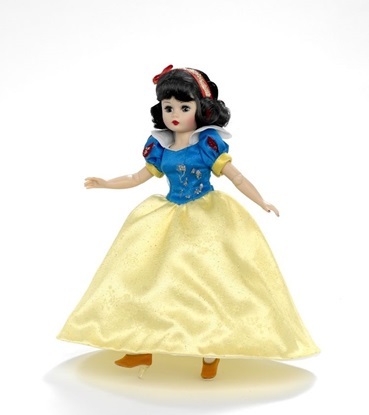 Snow White is dressed in her classic gown and is 10 inches tall with bent knees. 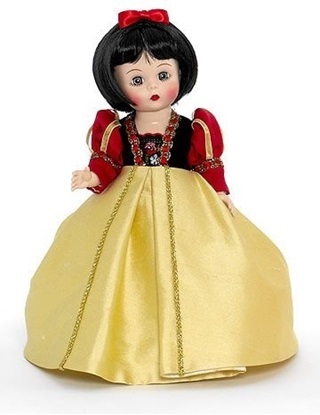 Madame Alexander introduces the 8" Storybook Snow White with the Wendy face and black hair and blue eyes. Copyright © 2019 Judy's Doll Online Store. All rights reserved.